Treasury recommends that states yet to authorize electronic and remote online notarization pursue legislation to explicitly permit the application of this technology and the interstate recognition of remotely notarized documents. Treasury recommends that states align laws and regulations to further standardize notarization practices. Treasury further recommends that Congress consider legislation to provide a minimum uniform national standard for electronic and remote online notarizations. Such legislation would facilitate, but not require, this component of a fully digital mortgage process and would provide a greater degree of legal certainty across the country. “In my opinion, the biggest problem with technology innovation in our industry is that it never gets to the end user because so many barriers to adoption are created. Consumers don’t even know the technology exists to allow remote online notarization that they can complete from anywhere, at any time. This option should be available to any consumer who wants it. “It allows the lenders and the title companies to move forward and to offer this convenience to all stakeholders including the end user. And that’s exciting,” he said. “Getting to a full complete electronic real estate mortgage transaction has been an achievable goal for years, but the laws were not on the books that allowed for this to happen,” Triola said. While the Treasury’s recommendations are a great and necessary start, encouraging all states to get on board, Triola thinks national legislation will be needed. “What is needed is to give title underwriters, lenders, and investors comfort that the e-transaction is not going to be challenged by a foreclosure judge or a bankruptcy judge. Those concerns hang out there now because there’s no case law to solidify support for the current legislation in Virginia or Montana, for example. 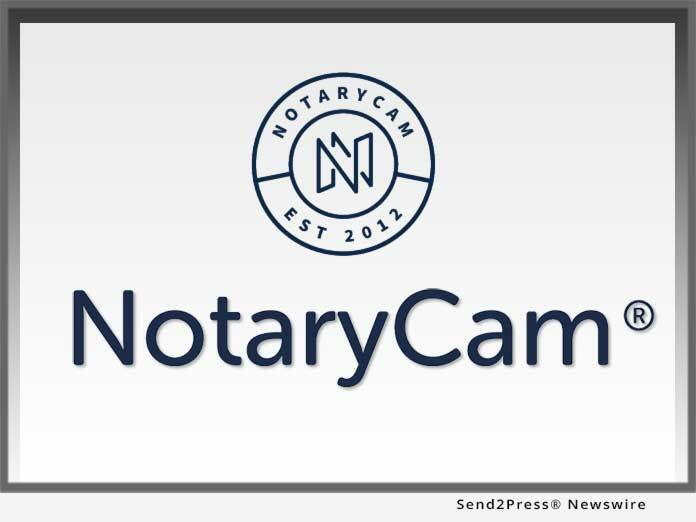 A pioneer of electronic and remote online notarizations, NotaryCam brings individuals and businesses together from anywhere in the world to securely sign and notarize documents in the virtual presence of a licensed notary public. To date, NotaryCam has completed more than 100,000 remote online notarizations. The company holds the industry’s highest Net Promoter Score and a customer satisfaction rating of 99.8 percent. NotaryCam’s virtual signing room supports the signing and notarization of all real estate closing documents and enables title agents and notary signing agents to organize, review, deliver and securely return recorded loan documents to lenders. NotaryCam is the pioneering leader in online notarization and mortgage closing solutions. NotaryCam has helped over 100,000 customers get documents notarized online from anywhere in the world and maintains the industry’s highest customer satisfaction rating. NotaryCam’s patented eClose360 platform helps mortgage and settlement partners facilitate 100%-online mortgage closings while providing unparalleled identity verification, security and customer convenience.